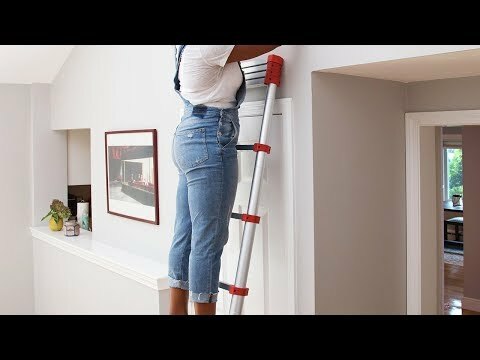 As easy to store as it is to climb, this expandable ladder extends rung-by-rung into a full-fledged ladder then collapses into a slim profile that’s easy to carry and store. Dimensions (folded): 8.5 ft: 20" x 5" x 29"; 10.5 ft: 29" x 19" x 4"; 12.5 ft: 34" x 21" x 6"
Weight: 8.5 ft: 16.5 lbs. ; 10.5 ft: 20 lbs. ; 12.5 ft: 30 lbs. I can finally get to the storage above my garage by myself! 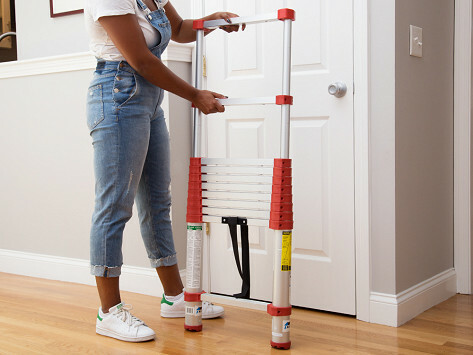 These telescoping ladders and stepstools are slimmed-down versions of the classics—light enough to carry with one one arm and slight enough to store in a closet or a trunk. 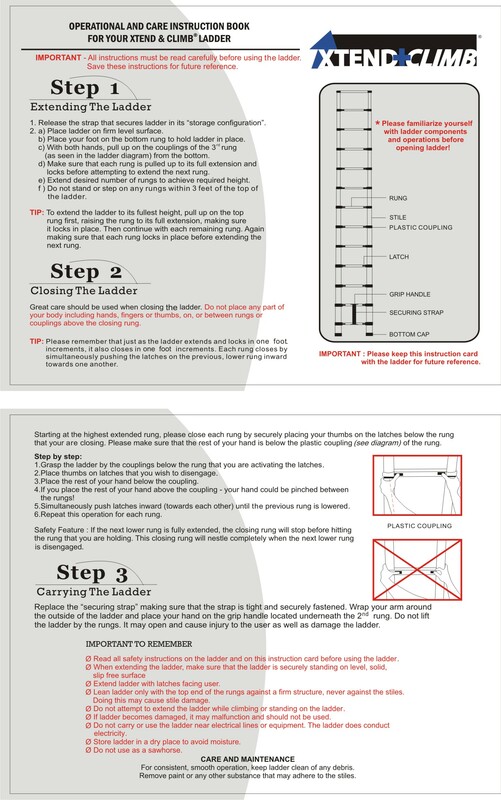 Xtend + Climb’s extension ladders have a retractable design that extends into a full-fledged ladder, then collapses rung by rung into something that’s compact and easy to tow and stow. The aluminum stepstools help tackle tasks around the house, whether it’s giving kids a boost in the bathroom or helping you reach those high shelves and closet spaces. Carry them as effortlessly as you climb them—these robust stepping tools dispel any bulky misconceptions you might have of what a ladder looks like. Ultralight Aluminum Step Stools - 1-Step 12"